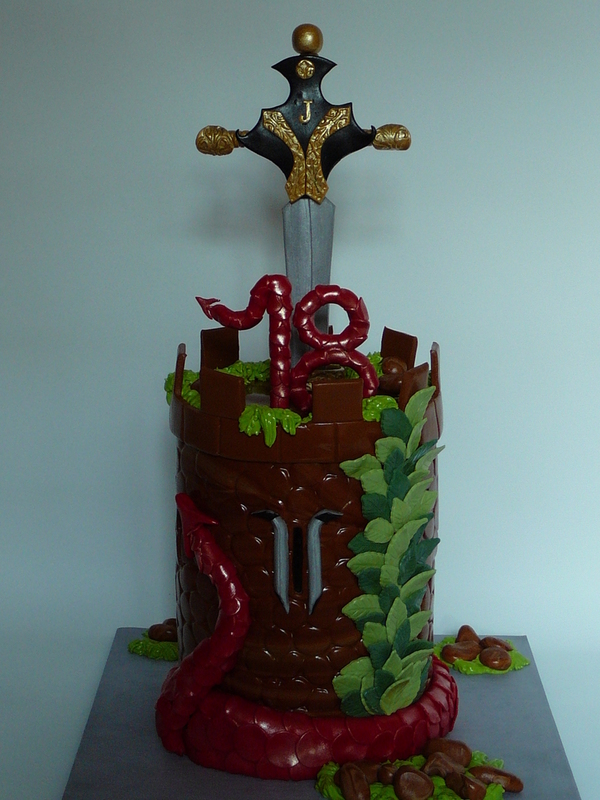 A dungeon tower for Jeremie, 18 years old who loves dungeons and dragons. 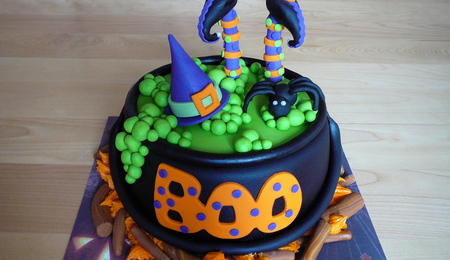 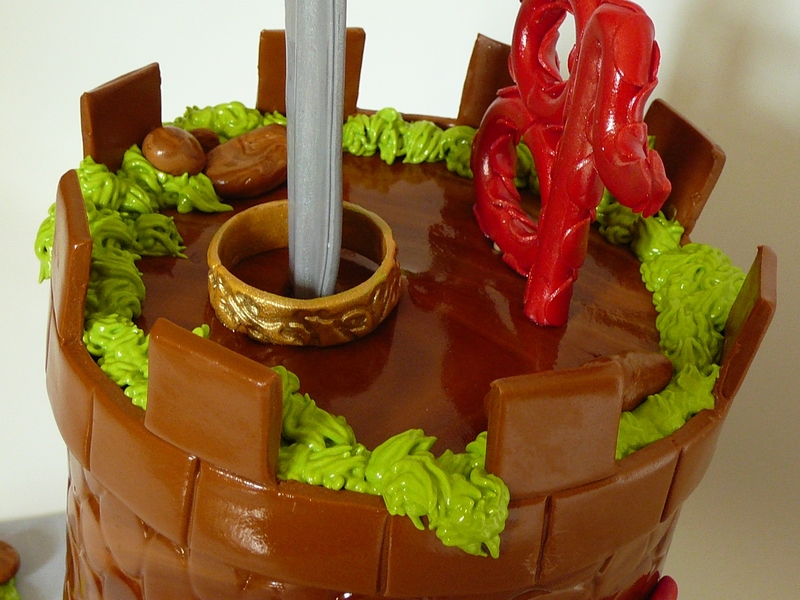 All chocolate cake with chocolate ganache covered with fondant. 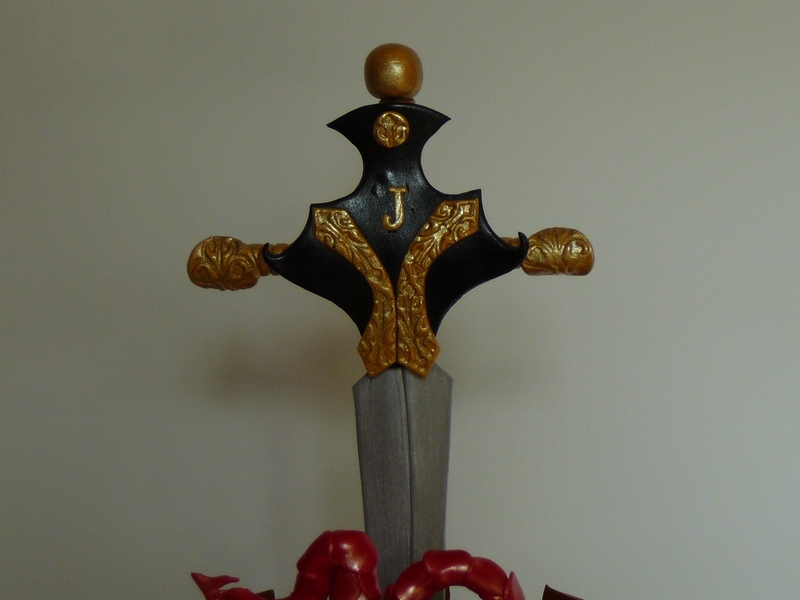 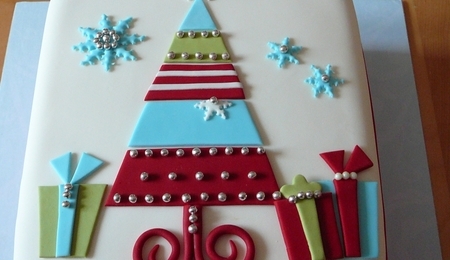 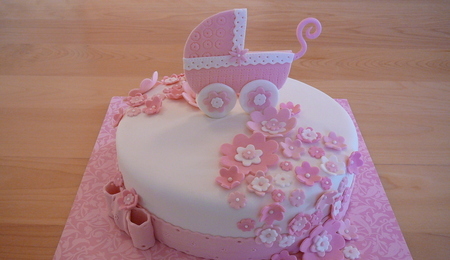 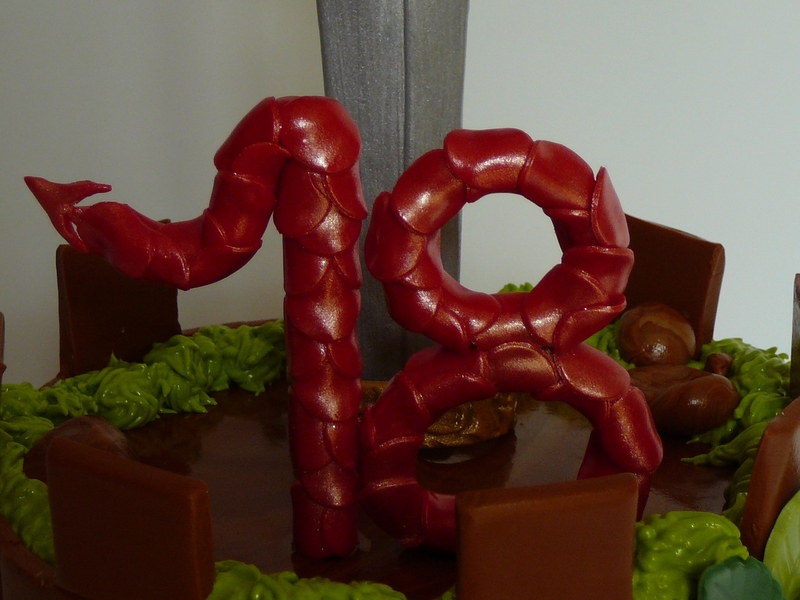 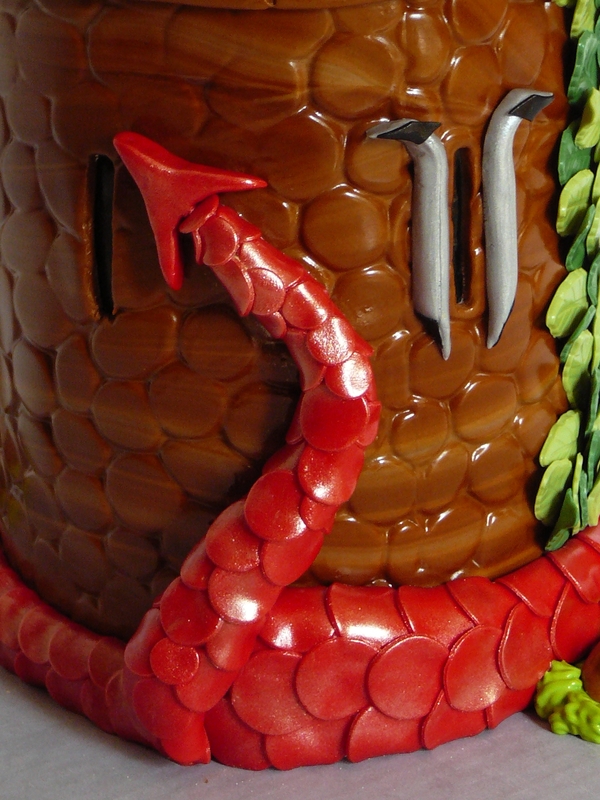 All decorations, sword, leaves, dragon tail and 18 are fondant.